What is Google Maps Street View for Business? Google Maps Street View for business is the newest and most cost effective way to market your business on Google Maps. When you add your business to the Google Maps Street View program for business you dramatically improve your mobile search result making your business available to thousands of local business searches. Adding your business to the Google Maps Street View program for business is easy. No matter where your business is we send one of our Fully Google Certified and Trusted Photographers to your location. 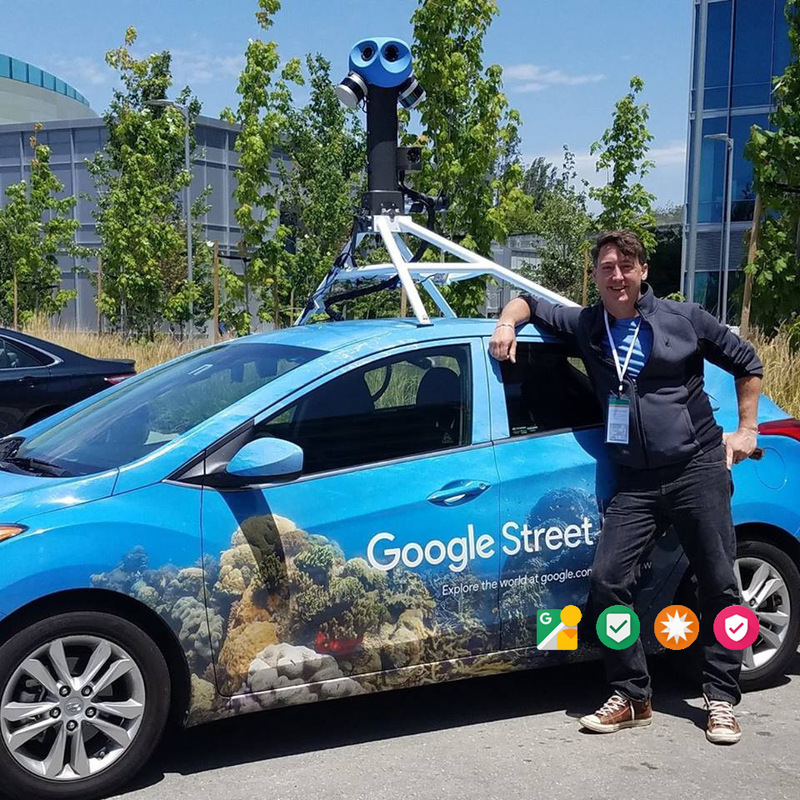 The Google Maps Street View Photographer will photograph your business using Google Maps Street View technology and within days your business begins to appear in Google Maps Street View and is available to mobile searches for millions of new customers. Here are some examples of how Google Maps Street View can help any business. Why should you get a Google ‘See Inside’ window and 360 virtual tour? Having a great Google presence is crucial because most people will see your business first on Google, and chances are they’ll be using a mobile device. You should treat it as importantly as your profile elsewhere on the internet, since you’ll be rewarded for how much user-relevant information you provide. Google’s ‘See Inside’ feature is the newest, most important component of making sure people’s impression of you is a good one, and it allows you to shine where it really matters most, local search results. Hundreds of thousands of businesses in Florida have already added this feature, millions worldwide, and we’re adding more every single day. Types of Businesses we’ve added: Restaurants, hotels, stores, medical offices, churches, auto dealerships, beauty salons, funeral homes, schools, bars, charter yachts, and MORE! Why would a business owner want this ? You should regard your Google Maps Business profile just like any other business profile you might have on the Internet such as a linkedin account. But this is a special profile because it is the one used by Google and Google Maps to display your business in an interactive way to web users but more importantly > mobile users. This is extremely important because mobile searches are the most widely used platform today and if you wish to have any success in the growing market of mobile searches then you need to develop your presence within these search results. So Google literally keeps track of how much of your Google Maps business profile you have completed. The more you have completed in your business profile… then the more that shows up in search results. It is really a simple algorithm. Adding one of these Google Maps Street Views of your business not only gives you a chance to share a part of your business with many visitors you may not normally have interacted with, but it also is an inexpensive way to dramatically improve your search result presence for your business in Google and on Google Maps. To add your business to this important program you pay a ONE TIME setup fee. This is a complete turn key service that is designed to be very affordable for business owners. Each business’ cost is a little different based on the size and nature of the business. Fill in your business name and address below to find out how much it will be to connect your business. One of our Google Maps Certified Photographers or Production Managers will respond with the exact cost for your business. A unique EMBED code so you can copy and paste your new tour directly into your website. When you realize how important of a step this is for any business owner and are ready to add your business to the Google Maps Street View program for business, then simply schedule an appointment to have your business added. A fully certified Google Maps Street View photographer will arrive at your business and photograph it using our special Google Street View camera. The photography takes approximately 30 minutes to one hour, but really depends on the size of the business. We then take the images back to our studio and build you a Google Maps Street View tour of your business. We then attach this new Google Maps Street View tour to your Google Maps business profile. the whole process is an easy turn key solution designed to be easy for the business owner so they can focus on the important things…. like business! “You guys did an amazing job for us we are very happy! We also appreciate your assistance in expediting as we are on our way to Las Vegas for the 2014 SEMA show and this is a phenomenal tool! We will be doing more projects in the future for sure! Howard Tanner, Redline Motorsports!